Give an option to add Gift Wrap cost of $29 USD on checkout page. If you want to set cost like, 29% of total cart amount, then change the “Type” as “Percentage”. When cart has more than 4 product add packaging cost $10 USD on checkout page. Label for Billing- Packaging Cost. Condition- Number Of Product On Cart. Minimum: 5 | Maximum: 1000 (any random big number). If you want to set cost like, 10% of total cart amount, then change the “Type” as “Percentage”. 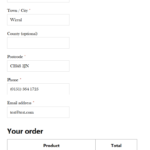 When cart amount more than $100 USD, add 10% tax upon the total amount on checkout page. Minimum: 100 | Maximum: 10000 (any random big number). If you want to set fixed cost like, $10 USD, then change the “Type” as “Fixed”. When cart have “Beanie” product, add shipping cost $10 USD on checkout page. 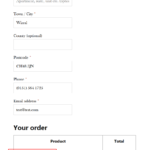 Label for Billing- Shipping Cost. 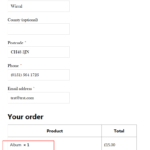 If you want to set percentage cost like, 10% of cart amount, then change the “Type” as “Percentage”. Exclusive Gift Wrap: $25 USD. Buyer can choose any one of this option. Label for Billing- Normal Gift Wrap. Label for Billing- Special Gift Wrap. Label for Billing- Exclusive Gift Wrap. If you want to delete any fees just click on the corresponding red trash icon and Save Changes. From 12 – 20, then shipping cost $25 USD. Upper than 20, flat shipping cost $50 USD. Label- Shipping Cost Process #1. Label for Billing- Shipping Cost Process #1. Label- Shipping Cost Process #2. 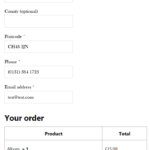 Label for Billing- Shipping Cost Process #2. Label- Shipping Cost Process #3. 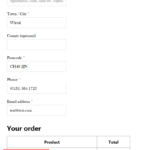 Label for Billing- Shipping Cost Process #3. 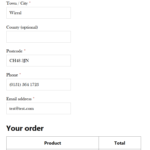 Label for Billing- Flat Shipping Cost. Minimum: 21 | Maximum: 10000 ( any random big number ). 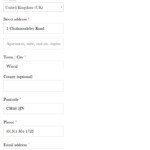 You can add unlimited number of rules( like above ) at the back-end( wp-admin ) based on requirement. From $100 USD – $500 USD, then service tax will be 5% of total amount. From $601 USD – $700 USD, then service tax will be 10% of total amount. Upper than $700 USD, service tax will be 15% of total amount. Label- Service tax slab #1. Label for Billing- Service tax slab #1. Label- Service tax slab #2. Label for Billing- Service tax slab #2. Label- Service tax slab #3. Label for Billing- Flat service tax. Minimum: 701 | Maximum: 10000 ( any random big number ).